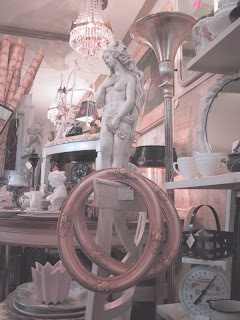 Last week we received a call from a friend, she told us she was going to have a big sale and we could come in early before the public to take a look. Well, this friend and her husband have been antique dealers for a long time so we knew they had awesome stuff. So of course we didn't hesitate at the invitation. 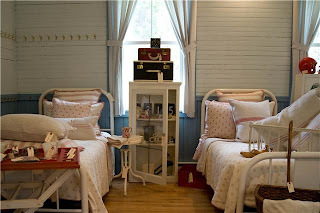 Their home is so inviting as you can see by these pictures. We absolutely love all the things we saw including this wicker set they had for sale. 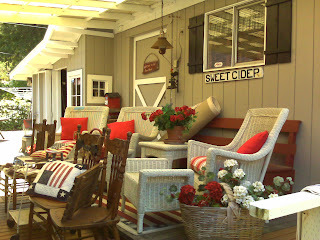 Don't you just love the red pillows and the red geraniums and the americana decor? We turned the corner and found this. An absolute junk extravaganza!! We spent lots of time looking through everything once, twice and three times. We loaded up on lots of great things for our upcoming show. And....remember the bike we told you we picked up last week? Our friend used hers in her front yard. CUTE! Just gotta tell you we love these signs. They take you back to yesteryear. Can't you just taste it... some good ol' diner food, served homestyle. Look for signs like these to bring that down home feeling to your kitchen. Gotta go now.... we're craving some pie! Ursula and Les Stomsvik of Ostfriesen Trading Company are very excited about our show. 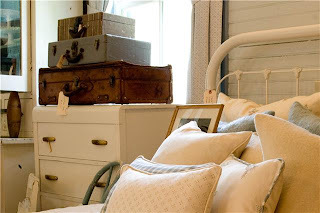 Ursula has a passion for linens and will bring a huge selection of fun vintage tablecloths as well as fine vintage and antique table and bed linens, doilies and quilts. 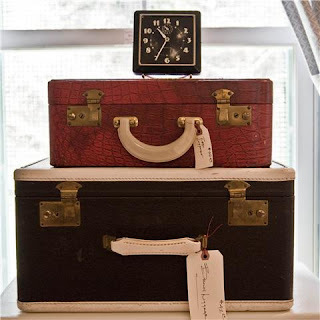 Ursula and Les travel all over the country looking for treasures to bring to you - vintage clothes, hats, purses, gloves, hankies - you name it - they probably have it. 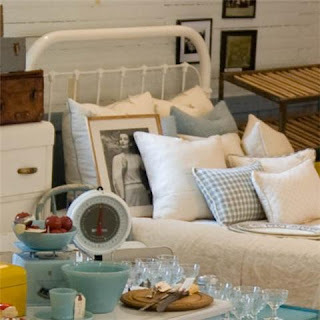 They top it all off with vintage sewing notions and buttons by the scoop, card and by the piece! You'll have a fun time looking for treasures in their space. Ursula and Les are dealers at the South Tacoma Antique Mall and also sell at the Puyallup Palmer Wirf Antique Shows in January and November. Memorial Day, originally called Decoration Day, is a day of remembrance for those who have died in our nation's service. We salute you and thank you for your sacrifice. 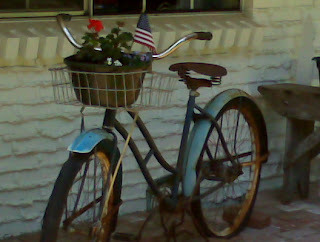 It has been such a beautiful weekend that we couldn't resist buying a couple of beach cruiser bikes to ride around on. We have turned a few heads with these things. Mine is a gorgeous baby blue with white fenders. My hubby put this sweet little basket on the front for me. His has a place to carry packages, in case I find something at a garage sale on our ride that I can't live without. These beautiful sunshiny flowers are a perfect example of what this weekend has been like, hope you feel the same way! An Evening with Debi Ward Kennedy a retail designer. Our Funky Junk Sisters Show is just around the corner and we wanted to remind our vendors that we have a special treat for them. Debi Ward Kennedy will be doing a seminar on Friday evening, during setup. She will be sharing some fabulous info with the show vendors. Her goal is to inspire them to amp up their merchandise presentation in their booths at shows - like The Funky Junk Sisters, and others to come. Her seminar will include lots of insider tips, stylist tricks, and retail secrets to arm them with helpful information that they can use immediately to make a big visual impact FAST. 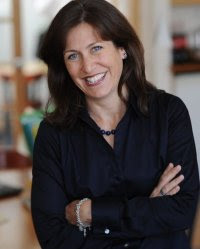 Many years of working & speaking and creating award-winning designs for vendors at international gift shows and industry trade shows have given Debi an incredible wealth of information that can help 'the little guys' compete in a big marketplace. 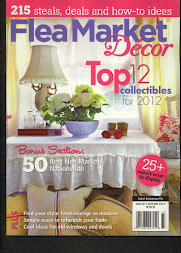 We are so excited to be able to share this with our vendors and we will be there taking notes ourselves! Ahhh, The Smell of Fresh Baked Bread! 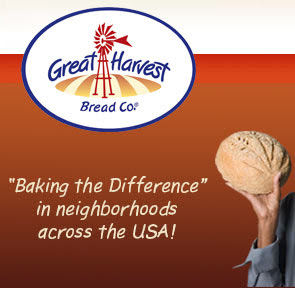 I stopped by the new Great Harvest Bread Company on South Hill the other day. As I approached the counter a cute girl offered me a sample of any kind of bread that I wanted. She convinced me that the cinnamon chip swirl bread was what I needed. Key word here, NEEDED. It was fabulous, scrumptious, yummy, etc. You must try it sometime, make sure you put plenty of honey butter on it to get the full effect. I can still smell it. Guess what? It's good for you too. They grind their whole wheat fresh everyday. Freshly milled, whole wheat tastes phenomenal, and fresh whole grain bread is life-enhancing. They use premium wheat bought from family owned farms located in the finest wheat growing region in the world -- Montana. You won’t find additives, preservatives or any ingredients you can’t pronounce. Natural wholesomeness. I bought a loaf of cinnamon chip swirl and took it home to share with my family. They devoured it, it disappeared within seconds. 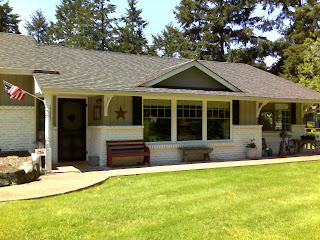 Do stop in the South Hill location at 14207 Meridian E in Puyallup , 253-845-0288. They carry the full line of Peets Coffee and Lattes as well as the "Best Sandwich in Town" along with a variety of specialty Soups for a great all around lunch or dinner. 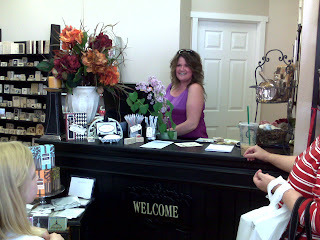 Make sure you say Hello to Stacey, the owner, tell them The Funky Junk Sisters sent you! 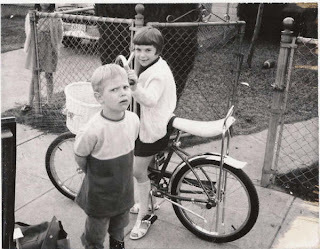 I will never forget for my 9th birthday I was given a purple Schwinn Sting Ray with a sparkly silver banana seat and a basket with flowers on the front. I was thrilled but as you can see my brother wasn't. My parents captured the moment in a snapshot. I love this photo. Shortly after I received my gift, my parents gave in to my brother and got him this humongous cruiser bike. He could barely reach the peddles. But from his expression you can tell he doesn't give a darn. He is so proud of this bike. 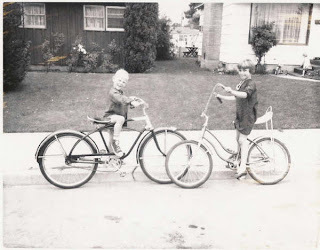 Dixie and I picked up an old cruiser the other day and it made me think of this old photo. Not sure what we will do with the bike yet, but somehow we will have to make it a tribute to our brother! We just gotta tell ya'll about this stuff! 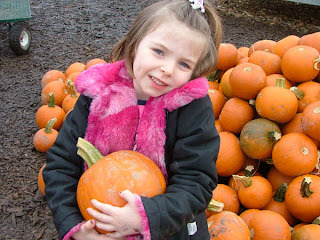 Cynthia McBride from Tacoma emailed us the other day. She was inquiring about booth space at the show. She told us about how she uses "recycled" materials----old pots and pans, shutters, old cabinet doors, wood crates, etc. to paint on. 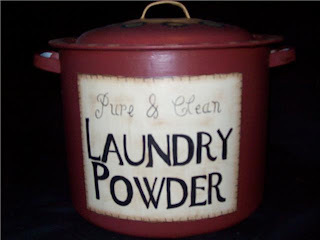 Here is an example of an old pot she painted. WE LOVE IT!!! We also think this gal is pretty creative too, Patricia of Tippy Stockton jewelry. 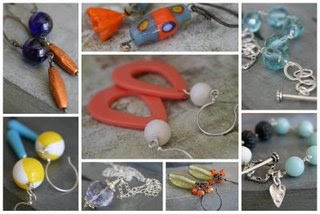 Patricia uses vintage beads to create her jewelry and she sells it on Etsy. She has been featured on Etsy's Treasury. You can visit her blog too. You will find both of these ladies at The Funky Junk Sisters Show in June. 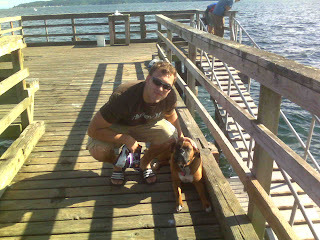 Wow, it was such a beautiful weekend in the Pacific Northwest this past weekend. Here is the view of Mt. Rainier from my oldest son's house. 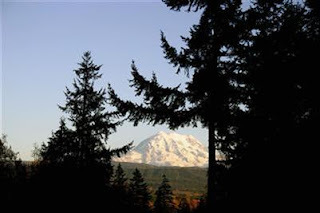 I love the way the mountain is framed perfectly through the trees. 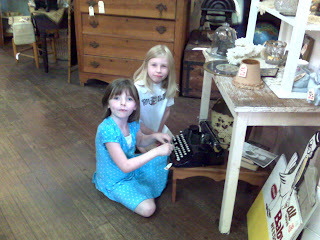 Future Junk Sisters Savannah and MacKenna (Dixie's daughters) went with Dixie and I on our outing to Sumner. They were so good, they found this old manual typewriter to occupy themselves. The girls at Today's Country Store got a kick out of them when they asked "How do we plug it in?" A typical question in today's world of video games and I pods. As we walked the streets of Sumner we were receiving phone calls left and right about our upcoming Funky Junk Sisters Show. Many wanted to be vendors and others just wanted details. We can't tell you enough about how much fun you will have as a shopper, in the current economy, folks want good quality with a great price. You will find both at our event! 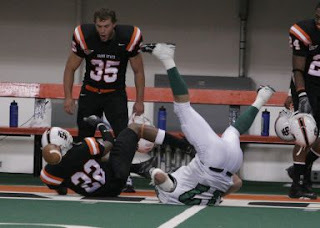 then he heads back to train for this ( he is number 35). So as you can see he can eat alot and so do his friends! 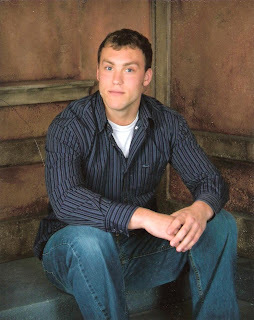 Just as JT goes back to school, my middle son comes home from college. Life is just one big revolving door around our house. I had better get busy! Here are some pictures from our outing yesterday. 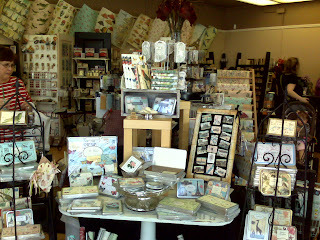 We started in a wonderful shop called The Paper Muse. 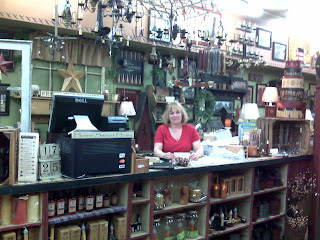 Here is a snapshot of the lovely shopkeeper Cami. Her store is stocked full of beautiful papers and everything else you could think of to use with paper. 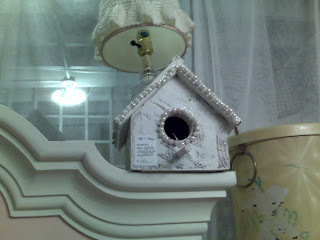 Loved this pearl embellished birdhouse! 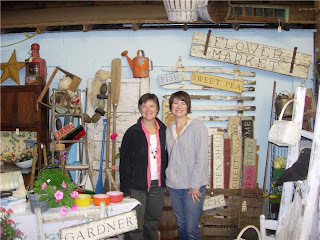 Lastly, we visited with LouAnn of Folk Art Gatherings, we were so excited to learn that she will join us at The Funky Junk Sisters Show. Just driving home from a long day of hunting and chatting with friends. We had lots of laughs and came home with a whole lot of loot! Couldn't fit it all in our cars. We have to go back tomorrow to pick up! We will have some pics for you tomorrow. We are on our way to the big Sunrise, Gem Heights, Silver Creek garage sales. 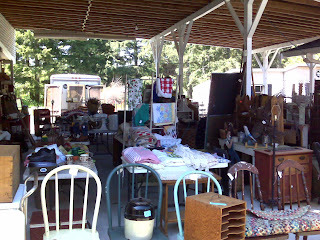 Then to the tag sale at The Country Store. We will keep you posted from our phone! 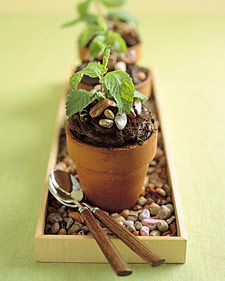 I found this recipe today on Martha Stewart's site. I loved it so much that I wanted to share it with you. Debi has a hunting instinct for finding special, vintage items and a knack for creative merchandising at shows and flea markets. 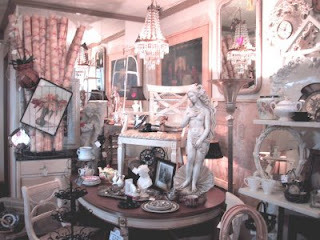 She also offers interior design consultation for integrating "experienced" with "new" items in the home. The name "ORMOLULU" implies a combination of elegance and whimsey--a reminder that life shouldn't be taken too seriously. We can't wait to see what Ormolulu has in store for The Funky Junk Sisters Show. Make sure you look for her booth, because we know whatever she brings, it will be awesome and it will go fast! We are busy painting masterpieces for The Funky Junk Sisters Show! We might be creating a mess now, just wait til you see the finished product.....but you will have to come to our BIG WAREHOUSE SALE to do that. TeeHeeTeeHee! 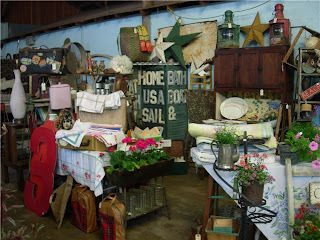 Seabold Vintage Market is today's vendor profile. Liz LeDorze is a girl after our own hearts... 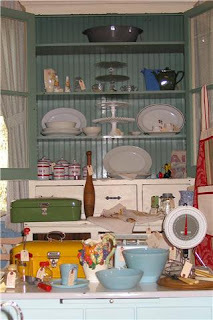 This is how she decribes herself on her blog, a vintage market girl at heart . . . who loves her family . . . her friends . . . her dogs . . . great food . . . the color of cream . . . vintage and designer fabrics . . . and chocolate croissants . . .
Aren't these pictures just dreamy? We can't wait to see what she has in store for her booth at The Funky Junk Sisters Show. Click on the link above to visit Liz's blog. 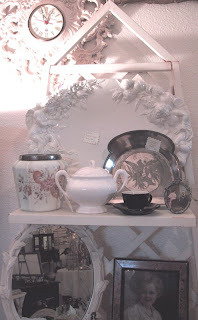 We have been telling you that we will have plenty of wonderful things for your home at the show. We hope you are making plans with your friends to attend. Get it together ladies! Make sure you click on the label in the sidebar that says vendor spotlight to see more of the talented people that will be there. 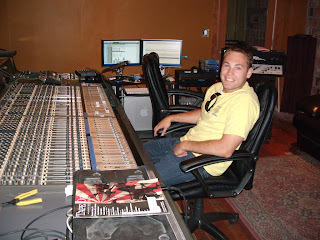 Check back daily to see more! 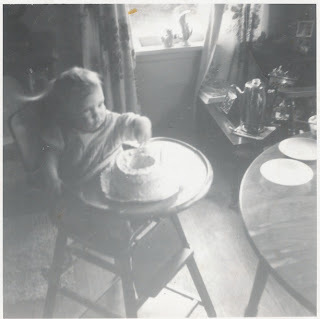 Today is Linda's Birthday... I won't tell you how old she is because we have been through that before when she turned 40! teeheehee! She is just going to hate me for doing this, but isan't that what sisters are for..??? I will keep it short...for as she knows way to much about me! luv ya Linny! HAPPY BIRTHDAY to you... HAPPY BIRTHDAY to you... 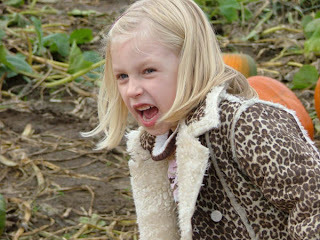 HAPPY BIRTHDAY Funky Junk Sister #2... HAPPY BIRTHDAY to you. We each have three reasons to celebrate Mother's Day. Future Junk Sisters, Sav & Macky. Big brother Q and Dixie's girls. know just what shoppers want. As you can see their booths reflect their eclectic country style. 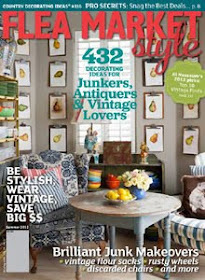 They are filled with treasures from vintage lanterns and modern vases to rustic farmstyle signs. 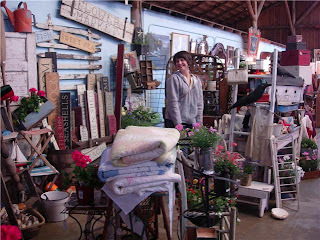 Sharon and Erin have many things to help make your home a feel-good home. June 13 &14, 2009 Puyallup, WA. 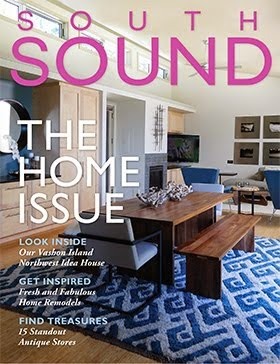 President of the Gift and Home Channel, the world’s first web TV and online community dedicated to inspiring the success of the independent gift and home retailers, http://www.giftandhomechannel.com/. 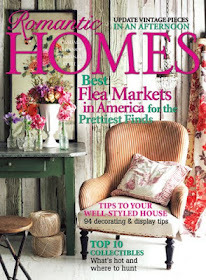 We are so excited that she acknowledged our Funky Junk Sisters Antique Show and Flea Market on her facebook page! She suggested that retailers go to the show to find display product for their stores! We are celebrating in the Junk House tonight! Today's Country Store is having a BIG SALE! It is a beautiful day in the Pacific Northwest!